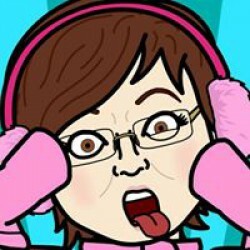 I’ve mentioned this in several reviews…cozy mysteries are starting to add more and more historicals to the genre. Hmmm…a new subgenre, historical-cozies. But none of the others are quite like the Fairy Tale Fatal Mystery series. 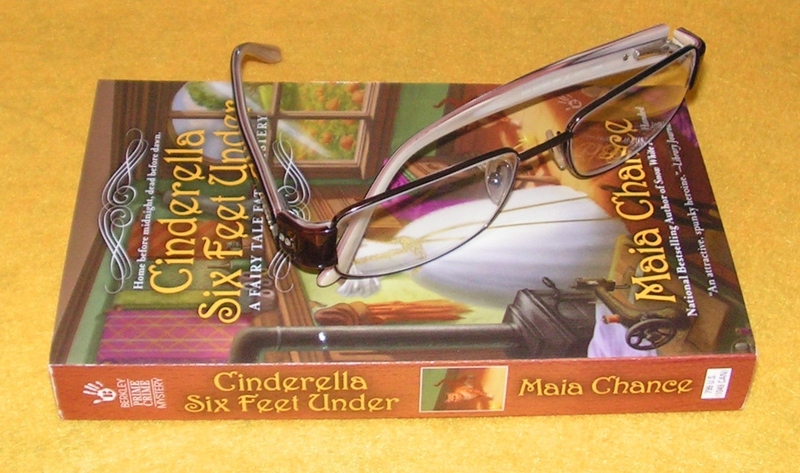 Author Maia Chance is breathing new life not only into cozies, but into fairy tales as well. 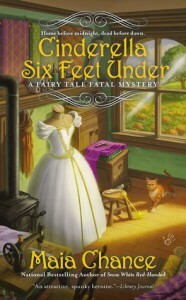 CINDERELLA SIX FEET UNDER is a delightfully murderous take on the well-loved story of Cinderella. This story starts off early into the book with the discovery of the victim’s body. What follows is a well plotted, wonderfully written mystery that kept me guessing. Ms. Chance really did her research and captured the feel of her Victorian setting. Through her use of language and descriptions, I was transported back to Victorian times and found myself in the mystery/fairy tale and part of the investigation myself. If you’ve read the first book in this series, SNOW WHITE RED-HANDED, I have no doubt you’ll enjoy this next installment. But, if like myself, you haven’t read the first book, no worries, you won’t feel lost in CINDERELLA SIX FEET UNDER at all. Keep reading after the story is over for a sneak peek of BEAUTY, BEAST, AND BELLADONNA, book 3 in this great series!